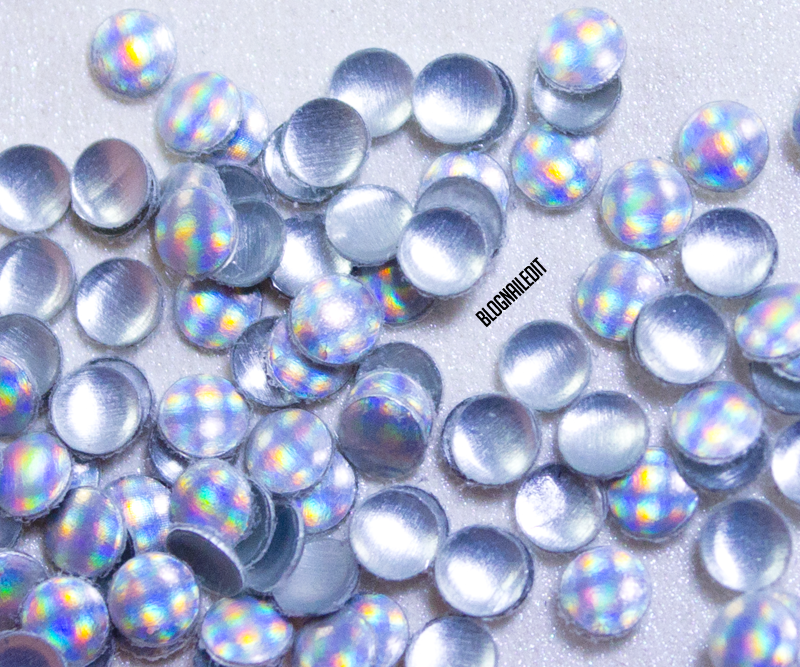 Tonight's post features some great holographic studs from Born Pretty Store. To save you some trouble searching the BPS database of studs, here's the link directly to the studs, which are pattern #3. The studs are metallic looking, but they're plastic themselves. 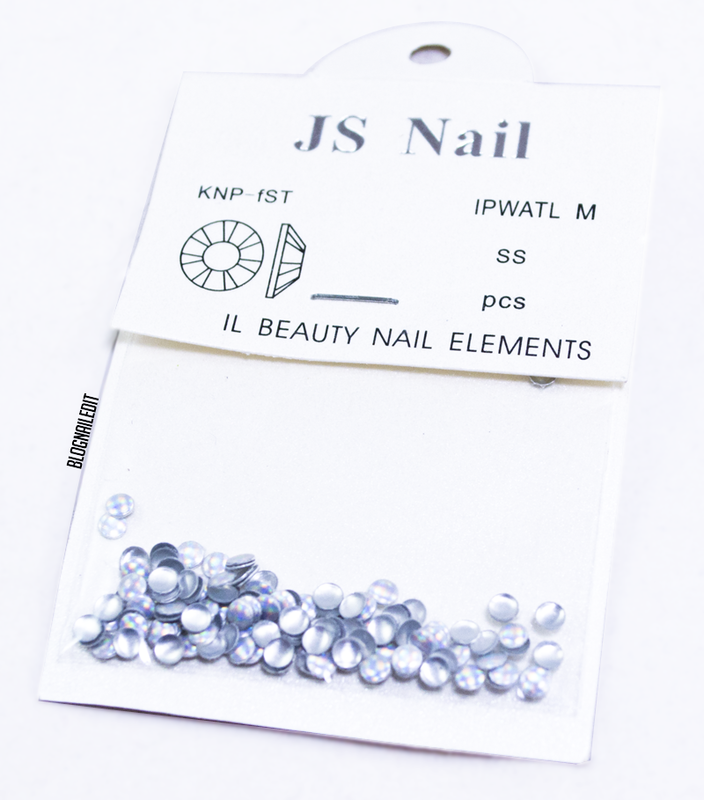 They're 3mm x 3mm, which means very little to most people, so here's how they look on my nails! Super holographic aren't they? 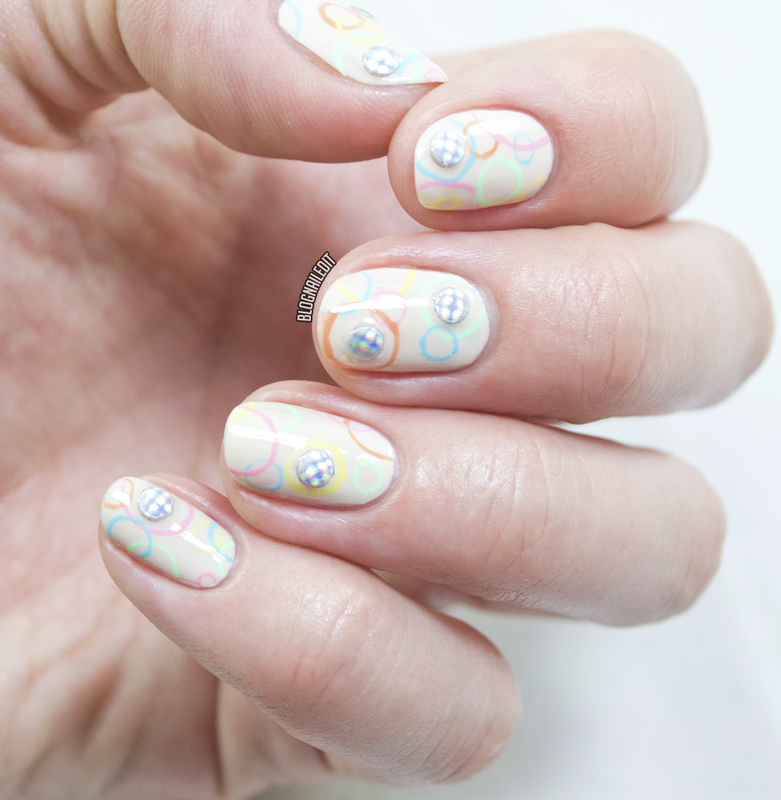 I put them in some pastel bubbles, because the holographic shade reminded me of the look of bubbles. To order your package, visit Born Pretty Store here, and don't forget to use my coupon code C10X31 for 10% off, and as always, you get free shipping on any order!